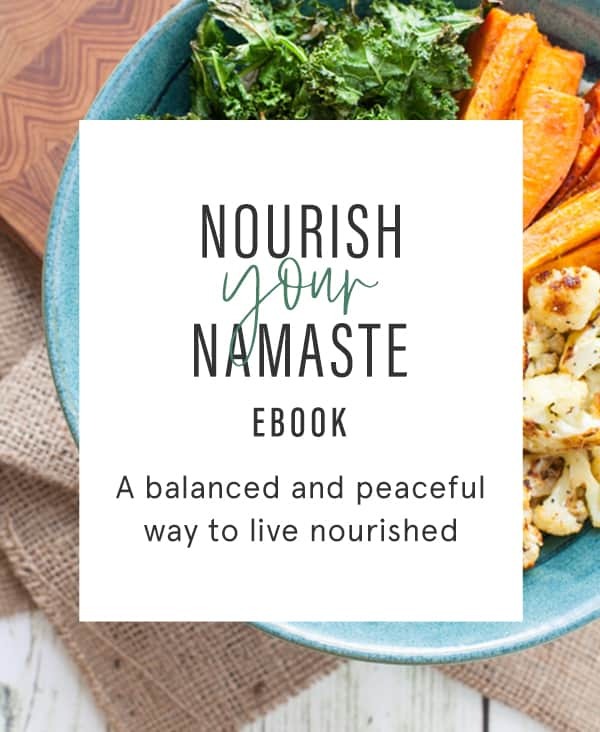 Side note: I just placed my blog on Bloglovin. 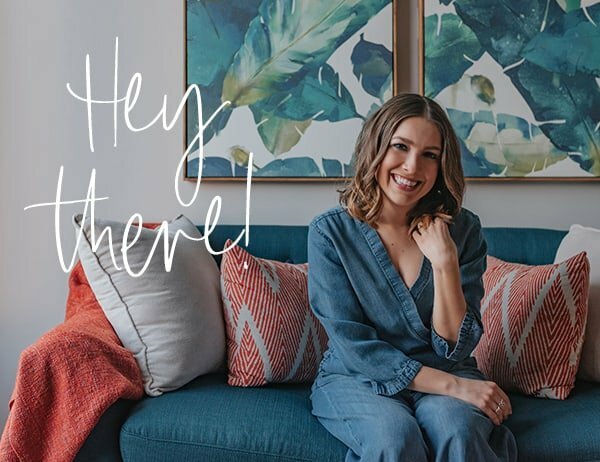 So if that’s how you stay up-to-date on your fav blogs, Follow my blog with Bloglovin! 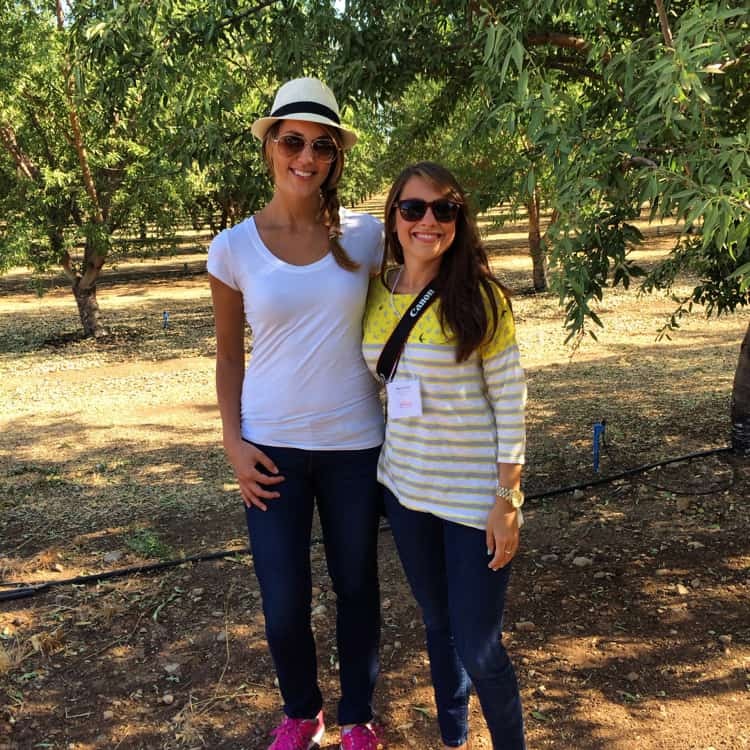 Two weeks ago, I was lucky enough to ship off to Lodi, CA to join fellow bloggers, media RDs, and fitness influencers for an almond orchard tour with The Almond Board of California. I even got to teach a sunrise yoga class to the attendees (many of whom are RD friendlies of mine). 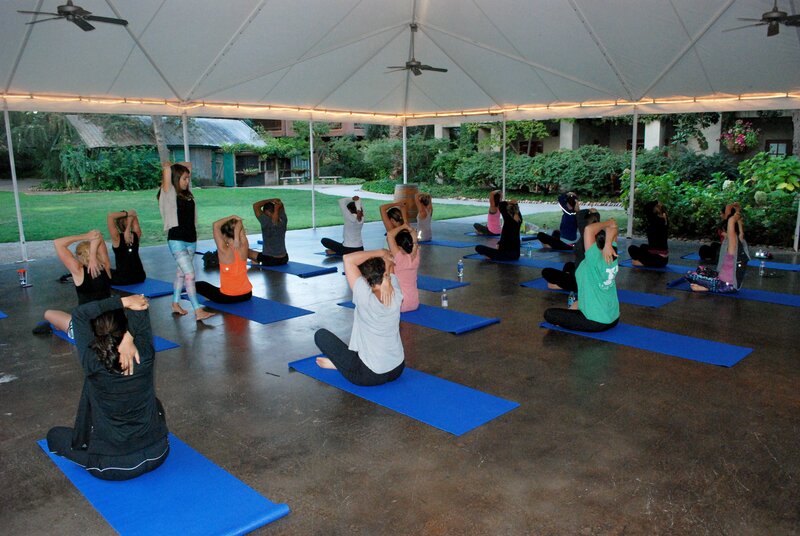 Truth be told it was my first official yoga class post-graduation a couple weeks prior! It went really well though and I loved every moment of it. It truly was an awesome feeling leading the class in a yoga flow. An even better feeling was folks approaching me after class telling me how much better they felt afterwards. Some were taking yoga for the very first time and shared they had a very positive first experience :). This class definitely reinforced that getting my yoga teaching certification was the right move. I’m looking forward to teaching more classes in the near future! Stay tuned for deets. As you may have guessed, we popped quite a few almonds into our mouths over the course of our trip. These basil pesto & asiago roasted almonds were by far my favorite. I gotta try to recrease these at home. 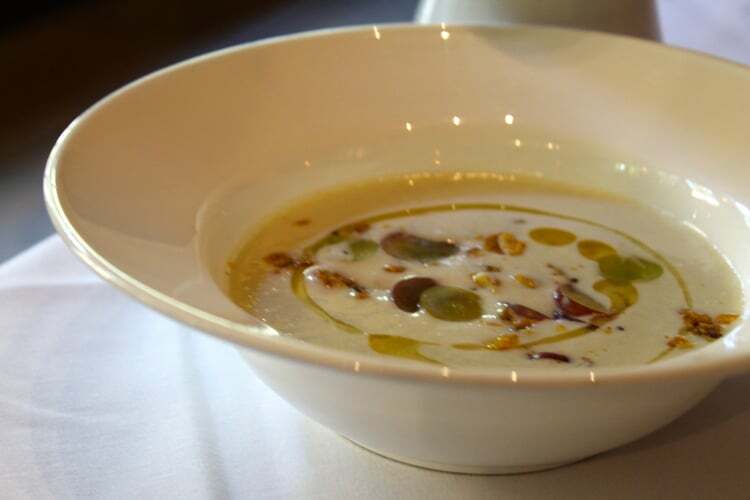 We even tasted a handful of dishes that highlighted the culinary versatility of almonds. 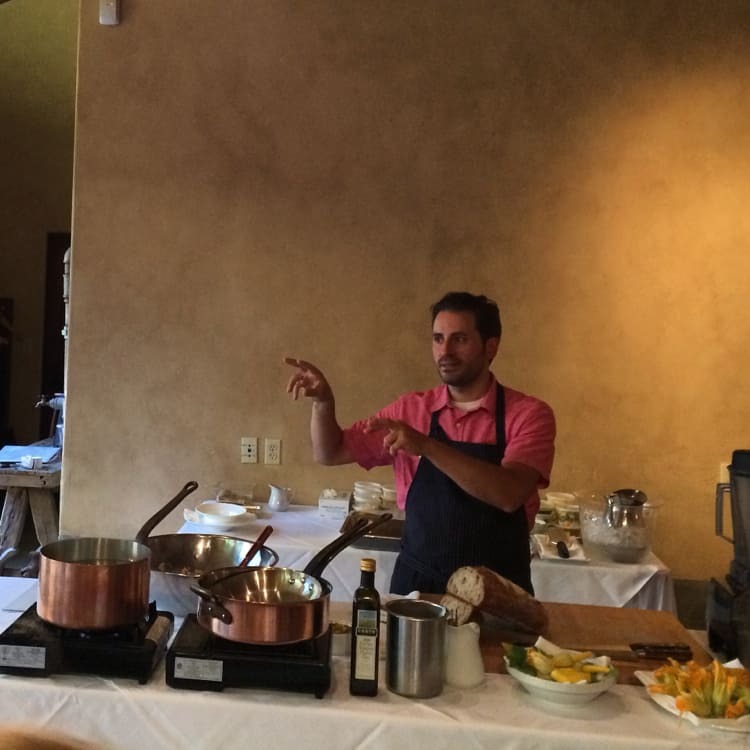 Chef Matthew Accarrino, Executive Chef at San Francisco’s SPQR, actually lead an awesome cooking demo using almonds in each dish. 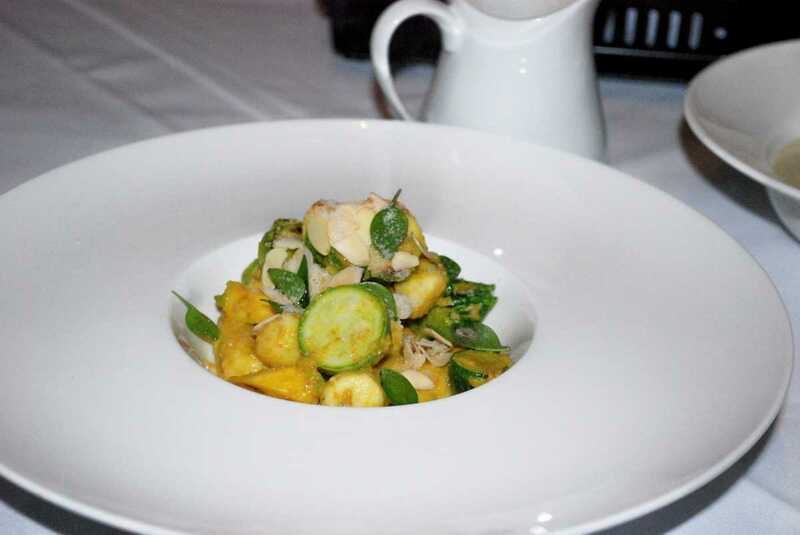 Semolina almond gnocchi with squash blossom pesto. Combine flax and chia in a small container and pour hot water over to bloom. Melt almond butter, coconut oil, and stir in syrup. Combine flax/chia mixture. In another large bowl, combine the remaining ingredients. Stir in the wet mixture and pack into sprayed pans or containers evenly. Dehydrate in a very low oven or dehydrator until desired firmness. 6 hours, up to 24 hours. After the cooking demo, we were off to (eat more food!) dinner at School Street Bistro, which served a beautiful menu complete with local wine pairings. 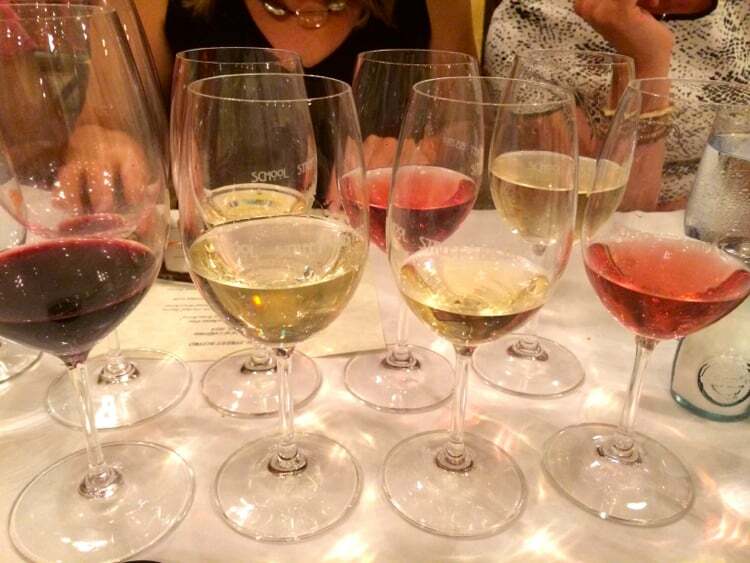 We were in wine country after all! 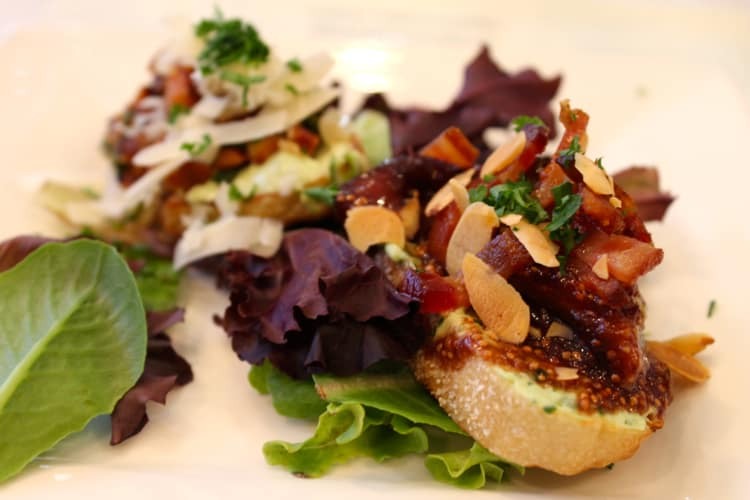 I loved this bruschetta duo appetizer: almond sage and parmesan bruschetta, and caramelized local mission fig, goat cheese and toasted almond bruschetta. 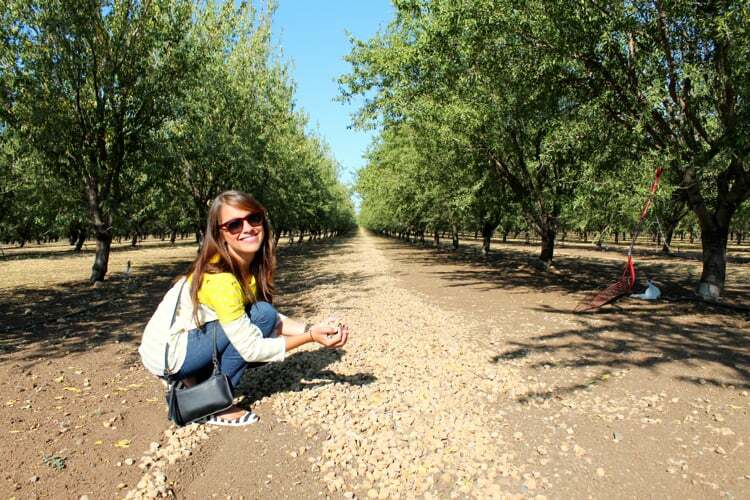 And even though it may seem like we just ate and drank our way through Lodi, we actually learned a TON about almonds and got the chance to visit a local almond orchard. I even got to taste an almond that had just fallen off the tree! 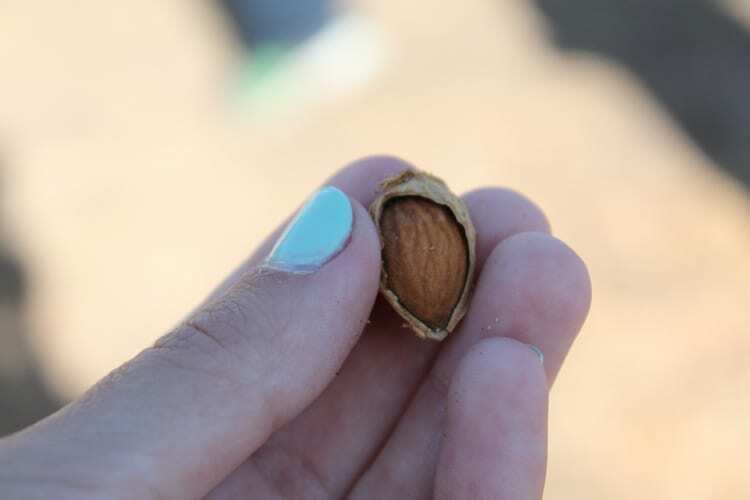 Every almond is covered by two protective layers – the shell which you see below is actually saved and used as bedding for livestock. And there’s the hull that surrounds the shell and splits when the almonds are ready to harvest. These hulls aren’t wasted either! They’re actually used as a feed alternative for livestock. 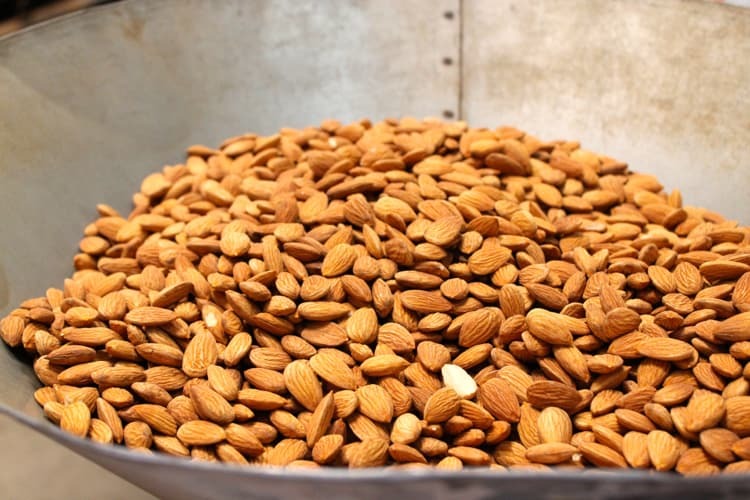 Did you know that one serving of almonds = 1oz, 1/4 cup, 1 handful, or 23 almonds? 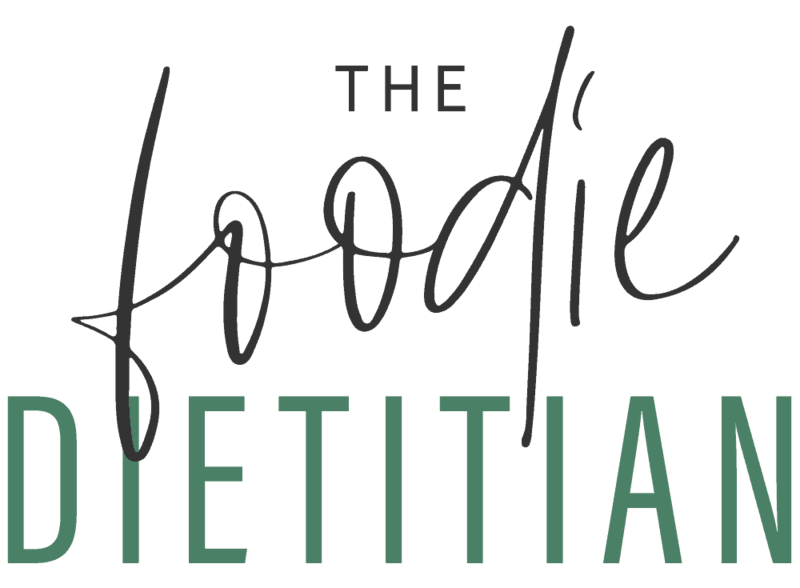 And one serving of almonds packs in 6 grams of protein, 4 grams of fiber, potassium, calcium, folate, zinc, magnesium, and the list goes on. 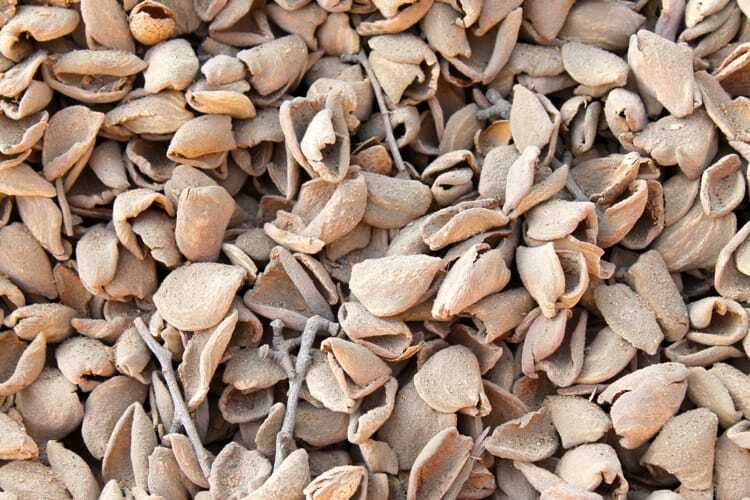 Betcha didn’t know that California actually produces 100% of almonds in the U.S. and 82% of almonds worldwide! 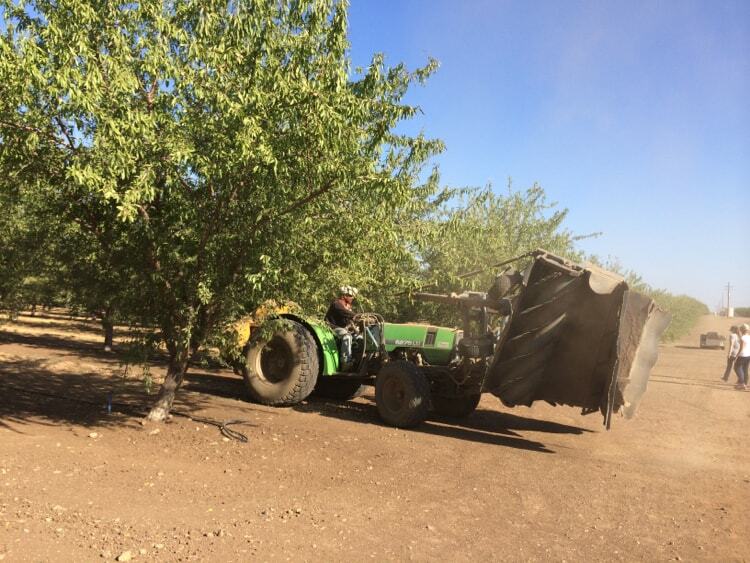 There are 6,500 almond growers in the state of California and 72% of those farms are family-owned. Almond trees start out as peach trees! 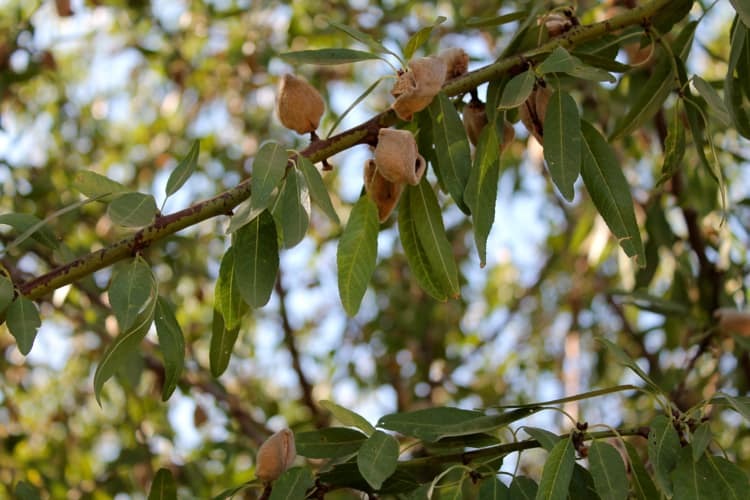 Growers use a traditional breeding method and graft almond trees from peach trees. This helps make a wider root base which improves its water supply and makes the tree overall stronger. Bees are finicky about weather (like me! Bees. Just like US.) so they’ll only come out of their hives when the sun is-a-shining. Immature almonds (green almonds) are considered a delicacy in some cultures and you can find them pickled in some Mediterranean and middle eastern markets. YUM. 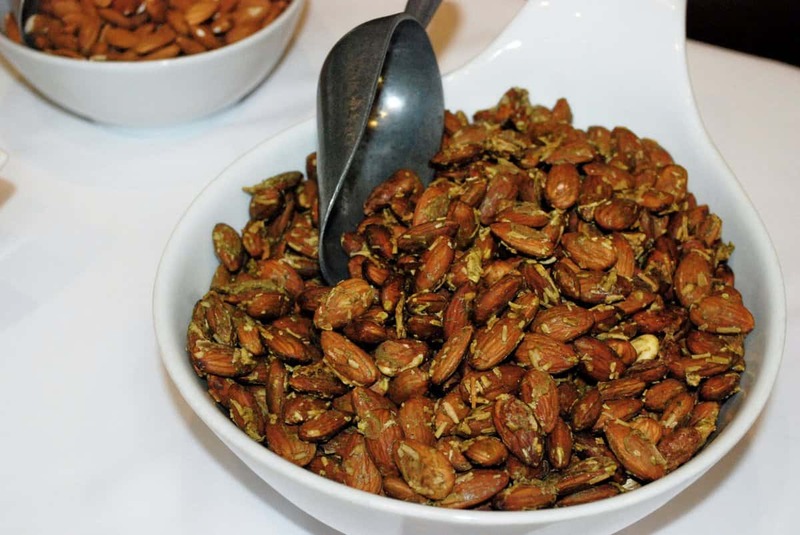 China actually brines and roasts their almonds in the shell and sells in-shell almonds as a snack! 50% of almonds harvested are used as an ingredient in other foods. And chocolate is the largest use of almonds. Don’t hate that. Dark chocolate & almonds is a heavenly combo. 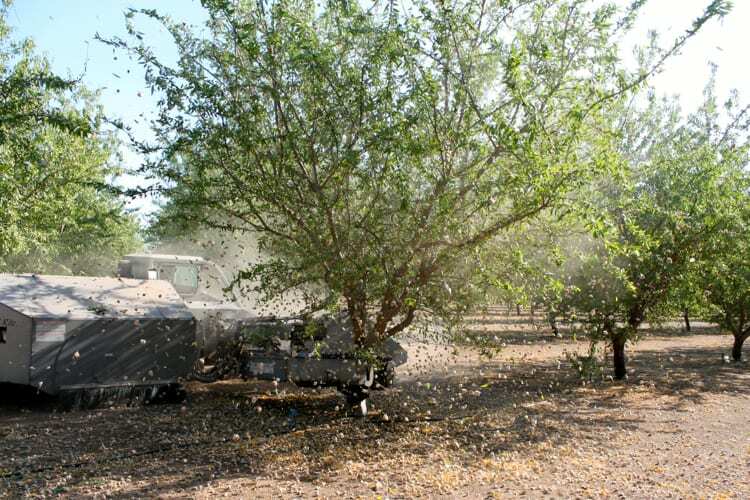 Ever wonder how almonds get off the tree? This shaker machine literally shakes them off the tree! Was so cool to watch! Check out my Instagram to see this baby in action. We also learned about a couple of controversial topics right now in the almond industry: bee health and the drought in California. Bees are hugely important to our food supply. Did you know that over 90 crops rely on bee-mediated pollination?! That’s over 1/3 of our diet! And almonds are no exception – they need bees to pollinate – so almond growers are hugely concerned about the current state of bee health and colony loss. The Almond Board has invested a significant amount of funding to pollination research and partners with beekeepers and research institutions across the country. California is also experiencing a pretty significant drought right now which doesn’t bode well for farmers. There’s been some backlash in the media recently about the almond industry’s role in the drought. 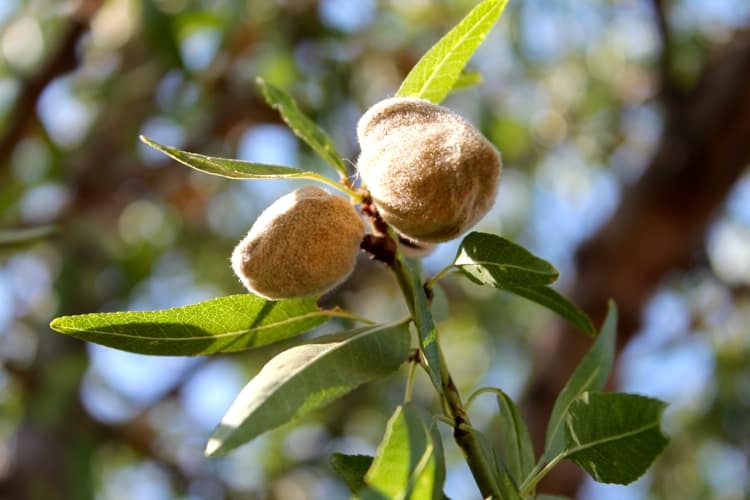 However, almond growers have implemented innovative irrigation systems to help reduce water usage and have seen a 33% reduction in water used per pound of almonds produced. Overall, I had a blast in Cali with fellow RD and blogger friends (like Miss. Alissa Rumsey below) and have to say THANK YOU to the Almond Board for inviting me on this trip. 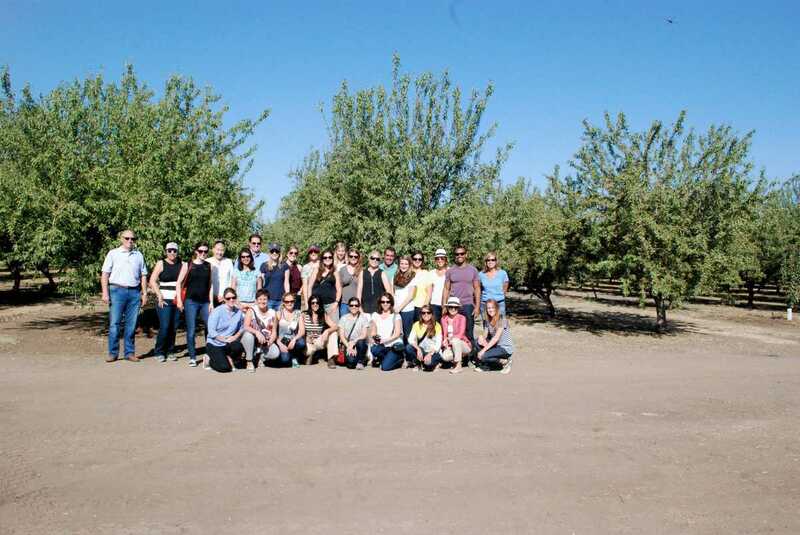 Disclosure: The Almond Board of California paid for my travel, lodging, and meals to attend their Orchard Tour in Lodi, CA. 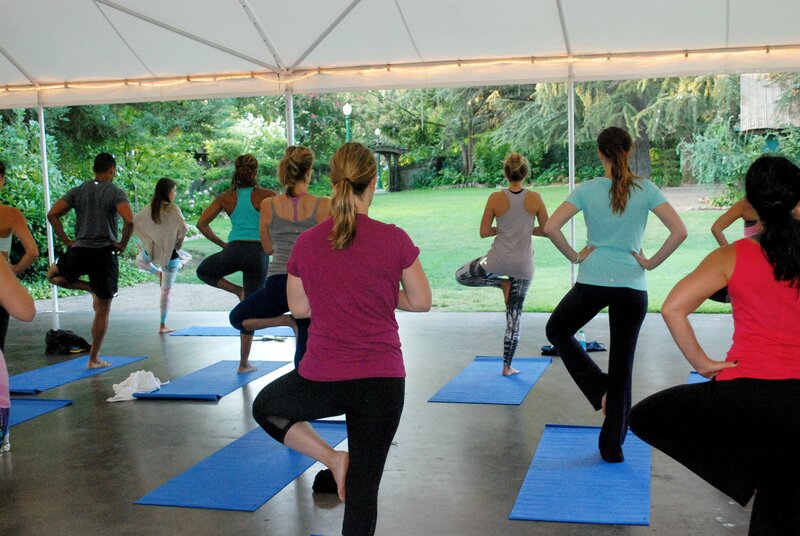 They also compensated me to teach a yoga class during the event. They did not compensate me to write this post and all opinions expressed here are my own. So great to meet you, Kara! Your yoga class was definitely one of the trip highlights for me. What a fun trip!! I love love love almonds, and your almond fun facts are great. Also, those yoga pants are amazing! Thanks, Meme! 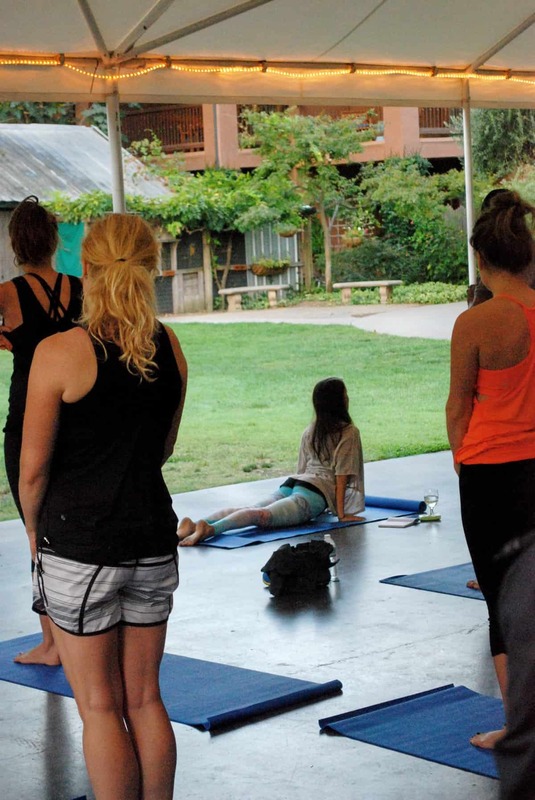 The yoga pants are from Teeki – based in SF, they make all their pants out of recycled plastic bottles. They’ve got a lot of fun, funky prints! 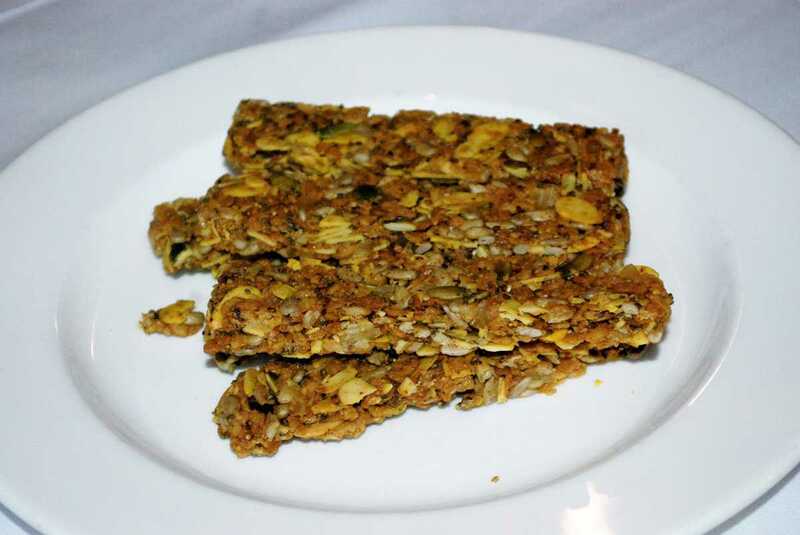 I was trying to think of how to make a savory energy bite for last month’s recipe redux theme, but was stumped! I might be using this recipe as a base in the future. Thanks for sharing! You’re welcome, Emily! They had such a unique taste with spices like turmeric and cayenne. Enjoy!